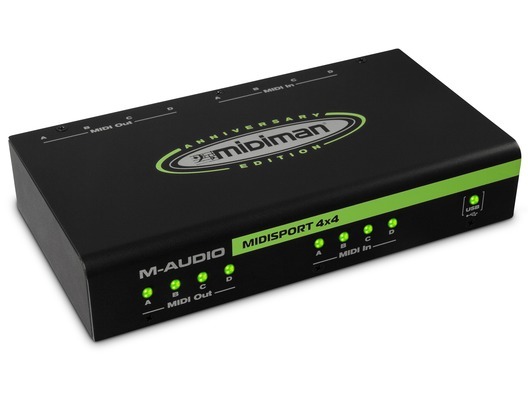 The Midiman MIDISPORT 4x4 Anniversary Edition from M-Audio gives the popular multi-port USB MIDI interface an updated new look. 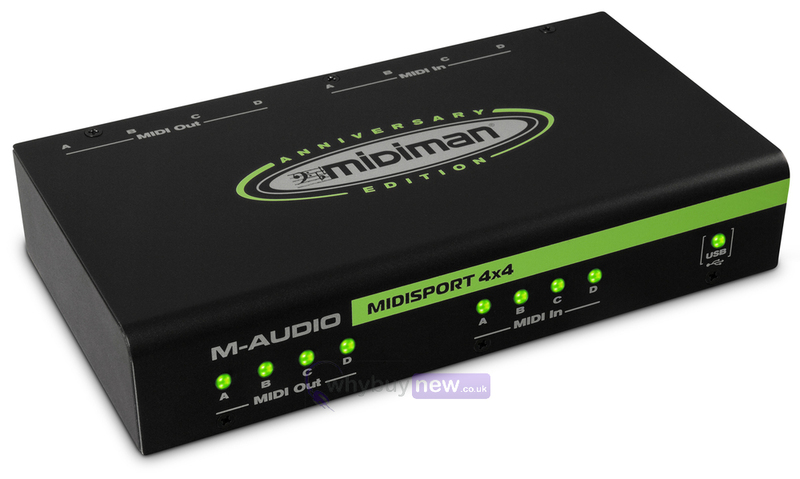 MIDISPORT 4x4 Anniversary Edition addresses a total of 64 x 64 discrete channels of MIDI I/O via USB, allowing you to simultaneously connect a variety of MIDI devices. Bus-powered architecture provides the option of totally mobile operation. Here we have the M-Audio MIDISPORT 4x4 Anniversary Edition in brand new condition and in B-Stock. The B-Stock versions would have been on display at a training evening or trade exhibition only and will come boxed 'as new' with all accessories and a 1-year warranty.